About two-thirds of the way into Carys Davies’ folkloric novel West, the widowed farmer John Cyrus Bellman recalls a riverboat encounter with a Dutch land agent and his wife. The unpolished farmer had offered them a pithy description of his westward journey: “I am seeking a creature entirely unknown, an animal incognitum.” That declaration is a worthy summary of Davies’ novel, which follows Bellman in search of “gigantic monsters” west of the Mississippi River during the early 19th century. Inspired by a newspaper clipping about “monstrous bones” and “prodigious tusks” unearthed in Kentucky — likely in what is now Big Bone Lick State Park — West follows Bellman as he turns his back on his Pennsylvania farm, leaving his daughter, Bess, in the care of his sister. The novel alternates between Bellman’s westward journey and Bess’ lonely life at home, where, like her father before her, she finds solace in reading about faraway lands at the local library. Through an arrangement with an entrepreneurial fur trader, Bellman is joined on his journey by a 17-year-old Native American boy, Old Woman From a Distance, whose unnamed tribe has been forced westward through a one-sided agreement with the U.S. government. Though neither speaks the other’s language, the two make for suitable companions, as Bellman barters off his material possessions in exchange for Old Woman’s aid in traversing the landscape. Much like Meriwether Lewis and William Clark’s expedition about a dozen years prior — and whose journey is a direct model for Bellman’s quest — Bellman and Old Woman make their way by pirogue and by foot on a steady march into the vast expanse of the American West. If the quixotic Bellman is a dressed-down version of Lewis, then Old Woman is akin to Clark, the able-bodied frontiersman. He is a guide and silent interlocutor to Bellman’s restless wandering. When Bellman leaves the Dutch couple and their St. Louis-bound boat, the land agent’s wife gently mocks his foolhardy quest — “she’d called after him to say she hoped he’d reached Cognitum before nightfall” — and presumably his use of the Latinate expression. Though it appears but a few times in this slim novel, Davies’ novel alludes to the storied genealogy of the animal incognitum in American history. Long before he became president and purchased the Louisiana Territory, Thomas Jefferson — who is sometimes called the founding father of American paleontology — cultivated an obsession with fossils, particularly those of the American mastodon. 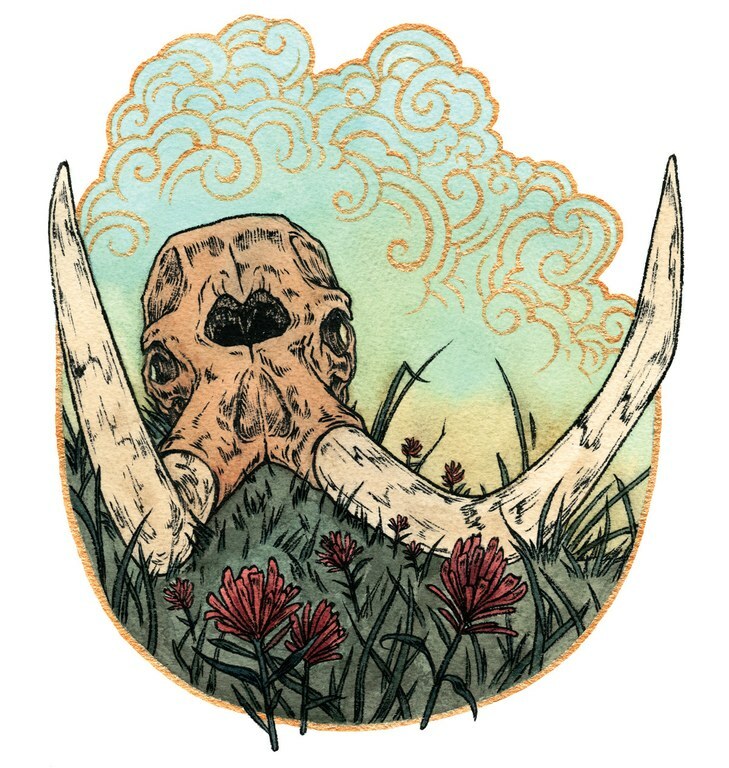 For Jefferson, the “animal incognitum,” or mastodon, bore the allure of an untamed and unknown American species. In a letter to French naturalist Bernard Lacépède, Jefferson explained that one of the goals of the Lewis and Clark expedition was to learn about the “Mammoth, & of the Megatherium also” — and, ideally, to find a living specimen. Bellman has no interest in glory, but he shares a similar pull towards the unknown mysteries and strange creatures of the West: “Now he wondered if it was because it seemed possible that, through the giant animals, a door into the mystery of the world would somehow be opened.” In West, with its frequent references to the Lewis and Clark expedition, Davies reminds us that the search for this particularly elusive species partly inspired the exploration of and scientific excavation of the American frontier. If there’s a parable of American expansionism in West, its themes are extinction and displacement. In different ways, Bellman and Old Woman have suffered loss (Bellman lost his wife; Old Woman’s sister was killed by American settlers) and displacement. Bellman emigrated with his family from England in search of a better life, while Old Woman’s tribe made a one-sided trade with the federal government to move westward. When we first encounter Old Woman, he sadly recalls “his sister, and everything else they’d left behind in the east — their rivers and their forests and their neat gardens of beans and corn.” Bellman, too, suffers doubts about his decision to leave England with his wife.